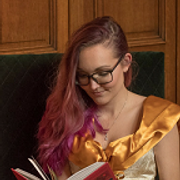 I only have one book to showcase, but I'm so happy with it, that I have to post it! You all know I love my fairytales (and retellings), so I couldn't resist buying this one. Finally! Leave a link, so I can take a look at your mailbox this week! Ooh- I read this one when it first came out- I absolutely loved it! Hope you enjoy it! I really want to read this, it sounds like such an awesome book and it's set in China!!!! I also bought this one, but last week! I REALLY can't wait to start reading it - it'll be my first fairytale re-telling so I'm interested to see what I think! Nice! Heard a lot of good things about this one! Thinking I need to try it one day! I have yet to check out this book, though it looks great. Enjoy! I want to read this so bad! It's been on my Wishlist since... Forever. :P I really need to get round to it at some point. Enjoy! I really need to read this, it's been everywhere recently. Dang i wish i had more money for books! Cinder was really good! Hope you enjoy it! I LOVED THIS BOOK! I read it in only a day! Got it on my kindle, but I would really love to get it in hardcover. Have fun reading it! I literally just finished reading this book 2 days ago. ABSOLUTELY-LOVED-IT! Seriously, I can't wait till you're done with it to hear what you think! I hope you love this one as much as I did! !It's still my favorite book so far this year! Thanks for stopping by. I really enjoyed cinder. 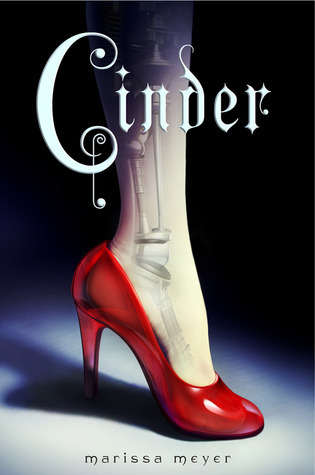 Great take on Cinderella with a Sci-fi twist. I LOVE Cinder. Such an awesome book! And I really enjoy fairy tale retellings as well. I hope you enjoy it, and thanks so much for stopping by my blog and for following as well! I'm now following you back, and I think we'll get along, seeing as we both like fairy tales, retellings, and Harry Potter! ;) Happy reading! Cinder is pretty good! I really liked it and I am dying to read the next book in the series!! Cinder was amazing!!! It is definitely a favorite of mine and I cannot wait for the sequel! I hope you enjoy it!! I want to buy a book...or two for myself. ;) Enjoy your gift to yourself. Cinder was okay for me. I will be reading the series, but I think Cinder could have been better. Even though you only got one book this week, you're gonna love this! Cinder was totally amazing! :) Enjoy! AH!! You will love it! Cinder is a recent favorite of mine. Thanks for stopping by! Oh nice! I haven't read this one yet, but I've heard it's awesome! Oh, Cinder! I've heard so many great things about this one and everyone seems to love it so I'm sure you will too!! I have Cinder sitting on my Kindle waiting to be read.